Parmesan is the English name given to the traditional Italian cheese Parmigiano Reggiano which first appeared in the valley of the River Po in the 12th Century. For a cheese to be truly called Parmesan, the milk should come from cows solely feed on fresh grass and hay and should be made only between April 1 and November 11 each year. Parmesan-style cheeses are now widely produced throughout the world and are a popular accompaniment to pasta dishes and Italian salads. 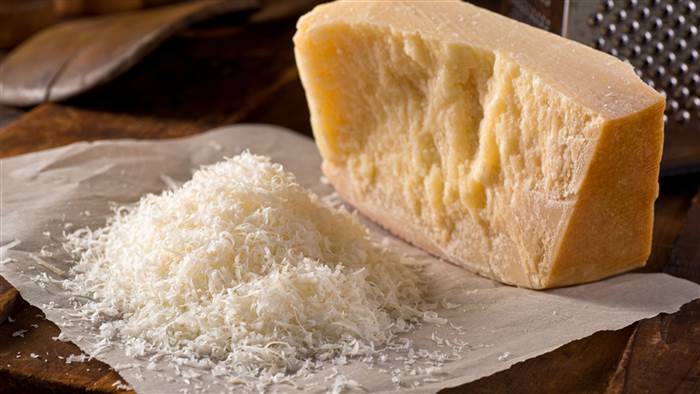 Parmesan should have a dense, grainy texture with a fruity and nutty taste.